They are The Empanada Kitchen and their philosophy is: Simple Things Done Well. Their focus is on small-town South American and European street food for the working class hero. Mauro’s food-centric family and heritage has made him curious to keep experimenting and evolving. Their experience has culminated in the belief that people appreciate and savour raw simple flavours, without any “enhancements”. They don’t want people to forget what good food is supposed to taste like. 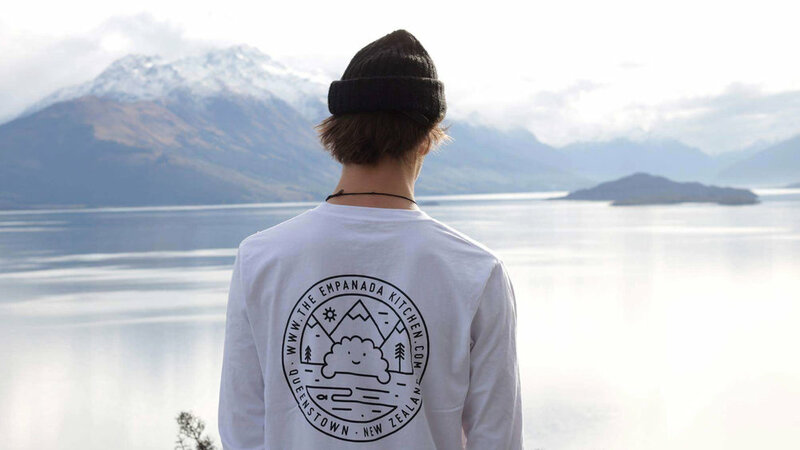 Their aim is to avoid monotony, by changing our flavours all the time, and constantly experimenting with different products, and collaborating with other local Queenstown makers. Based in Queenstown, in the heart of Central Otago, New Zealand, they believe in good and honest food, done simply, done well. The Empanada Kitchen approached makebardo to create an identity for their new business project. The aim was to create a clear communication of a product that does not exist in the New Zealand market. While this product has a really strong identity in South America, our challenge was to create a new brand with a contemporary look and move it away from its stereotypes. In this case we use the mantra "simple things done well". The concept was centred around the idea of making something really simple, with a few elements but with the best quality ever. Also the chef innovates a lot with the flavours, but always making something simple and unique. We used the shape of the product to create a recognition with the people. You will eat the same shape as the logo. So we spread this in the identity, adding a face to make a friendly character which is more inviting to the people. A combination of two colours plus white is a response to the two product lines (empanadas and sauces). You can see a prevalence of the bright red colour for the empanadas and the black color isused for the sauce line. Finally we created an identity that establishes the promise of an engaging taste experience, unique & friendly.